Should Marvel stop doing their Post-Credit scenes? The most ironic aspect of Marvel’s post-credit scenes is that the most important, most exciting one, was seen by almost nobody on their first watch of Iron Man. Nobody knew it was there so probably, like most people do, they left the cinema when the credits began to roll. Obviously word spread and people waited on their second viewing and now subsequently every other viewing of a Marvel movie. The issue is, since 2008’s Iron Man, only a handful have been worth waiting for. 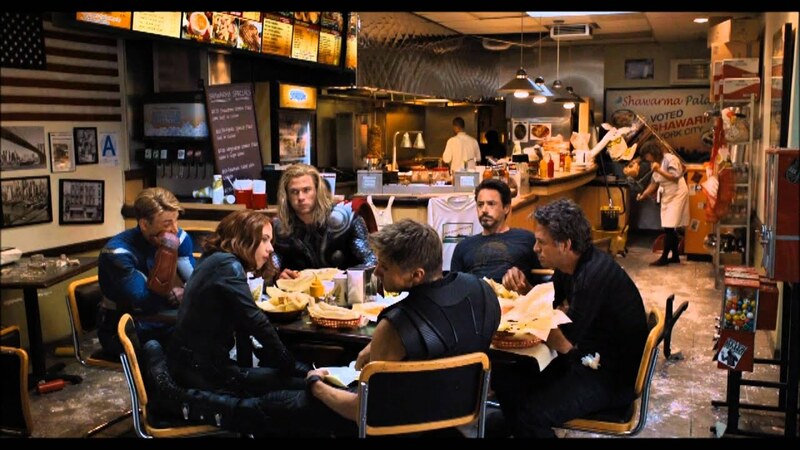 I have counted down my best and worst before but the fact that most of Marvel’s post-credit scenes are ultimately pointless, little, nothing scenes seems to have become a standard trend. They started a tradition but it is one that is worth breaking. Especially because every scene which has been post-credit would not have hurt the movie by being included. Both the mid-credit scene and post-credit scene in the new Marvel movie, Captain America: Civil War, didn’t add anything new or exciting to the wider universe, or at least nothing worth waiting for. This especially hurts when it is 3 o clock in the morning after a midnight screening but you know you should wait because there will definitely be something coming. Deadpool does buck the trend slightly by, in his own unique way, mocking the concept of the post-credits scene. I have posted it at the bottom and it doesn’t spoil anything for the main movie but does highlight how pointless the practice has become. It isn’t like Marvel have to remove the concept entirely. In more recent movies they have added two of these scenes. One comes mid-credits now, after the more visually exciting, themed credits which cover the main acting, writing, directing and producing talent. I can make my peace with this because you only have to wait for a few minutes to see whatever was deemed so unnecessary to include in the main movie but important enough to warrant three minutes of the audience’s time. Making everyone sit through scrolling text, mostly made up of names of people I don’t know, don’t care about and only appeal to whoever the “best boy” actually was (although I’d argue an IMDB credit is cooler) seems self indulgent. Imagine waiting just to see this! Of course, the main comeback is “don’t wait.” This is obviously an option but I’m a huge Marvel movies fan and in 13 Marvel movies there have been at least 3 really good, exciting post-credit scenes (and I missed the first one). I can’t leave knowing that this film could hold the fourth! Overall, I’m starting a campaign. Marvel needs to stop their tradition and abandon the post-credit scene. It seems pointless, time-consuming and most times disappointing. They can place whatever they deemed necessary at the mid-point or alternatively, make the post-credit scene worth it, a decent reveal, exciting climax or something the geek community and loyal fans would appreciate – although you could argue if it was that cool and important it should make the main movie anyway! It was fun at first, but now that it’s seeping into everything else it’s very annoying. The worst one would be Hitman Agent 47, read my review then watch the abysmal end credits scene that outright insults the viewer. I’ll give it a look. That is a movie which doesn’t need an end-credits scene. I can see where you’e coming from and to a degree I can agree. But I don’t want them to end just yet, sure Nick Fury showing up at the end of Iron Man will always be the king of post-credit scenes, but I’ve also really liked some of the reveals during phase 1 and 2 with Thor’s hammer, Thanos and Quicksilver and Scarlet Witch in their cells. But some of them have been pretty weak, Thor: The Dark World being my least favourites, so frigging pointless. But I’ve always seen the post-credit scenes as something extra for the fans than anything else and everyone does have the option to leave should they feel the need to do so. Sure some of the scenes don’t justify you sitting in the screening for an extra 5 mins just for a minor conversation or reveal, but I would say that at least the first post-credit scene for Civil War was relevant and set up some interesting stuff going forward in the MCU. I think they need to be more obviously important. Even the Civil War post-credit scenes didn’t feel that impactful and I’m doubtful that Winter Soldier will play any part in the Black Panther movie. was cool to see Wakanda though! I don’t disagree with that though, the Civil War mid-credits could have been more impactful and in a way it could have been attached to the main runtime instead. Next Next post: Spielberg on World War 2 – The Launch!